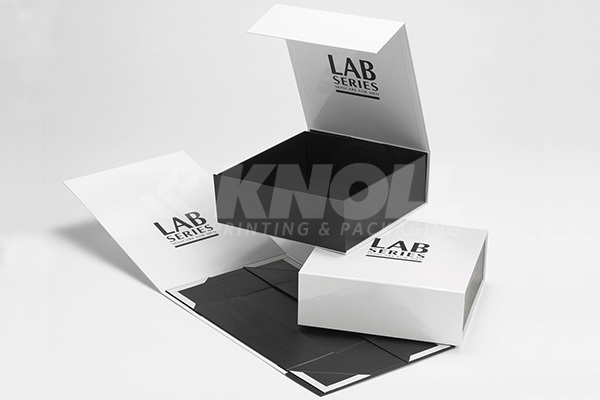 Products- Flatboxes - Knoll Printing & Packaging Inc.
A two set collection of knock down boxes. Each set is wrapped with match color. Two grograin ribbons are tied into a bow as a closure. 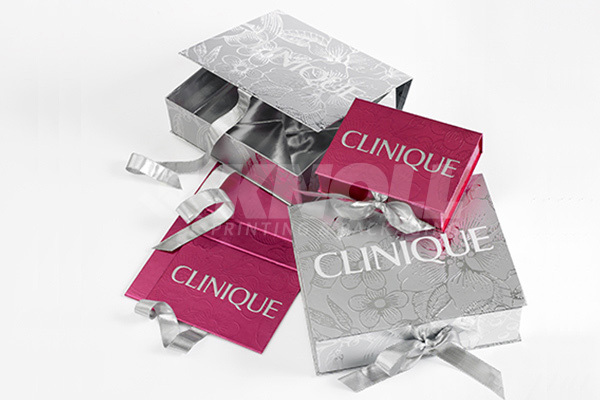 Gift set knockdown box which sets up into tray with hinged cover. 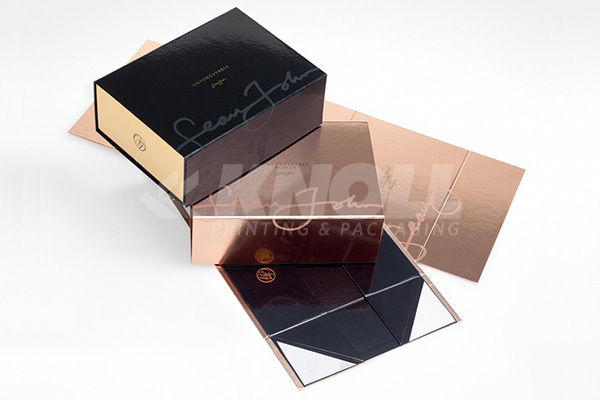 Attached to the cover are two pieces of ribbon to close the box, while the tray contains a custom match colored vacuum form. Small style knock down box. Folds up into cigar style closure with a magnet to secure the cover to the base when closed. Larger style knock down box. Tray and cover printed in custom match colors with gloss and matte coatings. Magnet closure on the front panel.